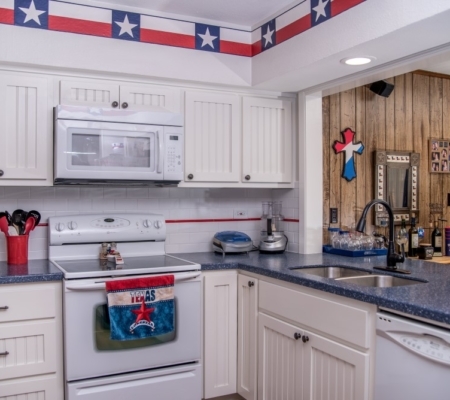 Are you planning to remodel the kitchen in your Central Texas home? Kitchen Remodeling is a great way to truly get the kitchen you’ve been dreaming about. If your kitchen is 10, 15 or even 20 years old or more, then it’s considerably dated and probably time you start to think about a remodel. Lonestar Home Solutions knows how important your kitchen is to your family life. That’s why Lonestar Home Solutions will help you carefully plan, design, pull all of the permits (if required) and then build your dream kitchen with your unique needs, style, and budget in mind. There is an overwhelming amount of kitchen remodeling design trends, styles, and materials to choose from. 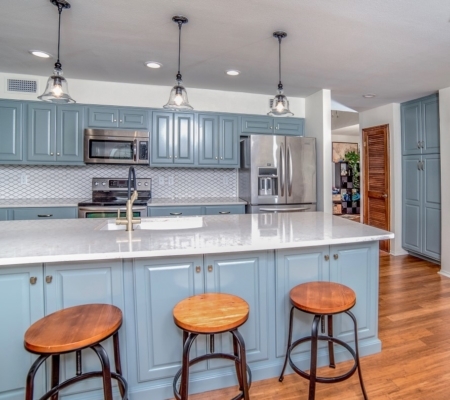 Dealing with a professional kitchen remodeling contractor will alleviate much of the stress from this process and give you guidance where you need it the most. Lonestar Home Solutions will work with you every step of the way during your remodeling project. We literally can do everything from providing you with some initial kitchen remodeling ideas, to drafting up your new kitchen layout, to custom cabinet selection and more. Our number one goal is to build you a kitchen that makes you happy. 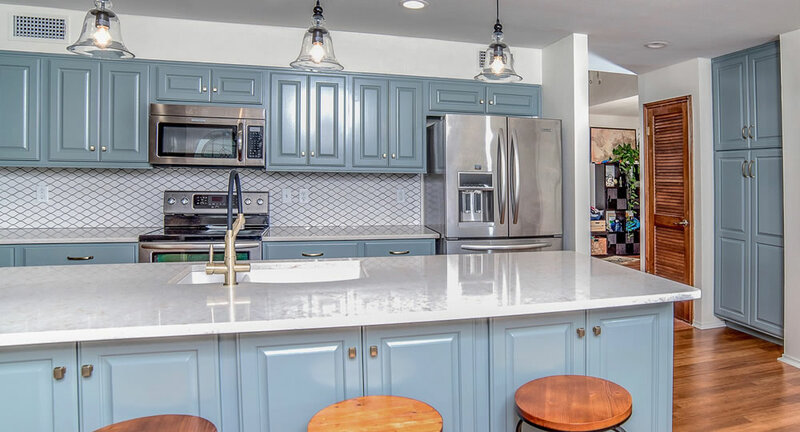 We want to help you create a kitchen that makes you feel like your home could be in one of those remodeling magazines or one of the many home improvement shows you see on TV. Speaking of which, if you’ve got an idea from a magazine or TV show, tell us or show us and we can build it for you! We build kitchens from the ground up if we need to. Your new kitchen should be an absolute pleasure for you to cook and entertain in… That’s where Lonestar Home Solutions comes in! You see… You really don’t want a contractor and his crew working in your home, making noise, and invading your space for a few days or even weeks. What you really want is a beautiful new kitchen, and we understand this. We work hard to minimize our impact on your daily schedule and deliver a finished kitchen that will have your jaw drop and make your friends and neighbours green with jealousy. With our seasoned kitchen remodeling advice in your corner all of the toughest remodeling choices become much clearer, and easier for you to understand. Your kitchen remodeling project actually becomes fun and exciting as you see everything coming together as we’ve discussed and planned with you in great detail before hand. We have kitchen remodeling ideas and projects that can fit almost every Reading home owner’s budget. 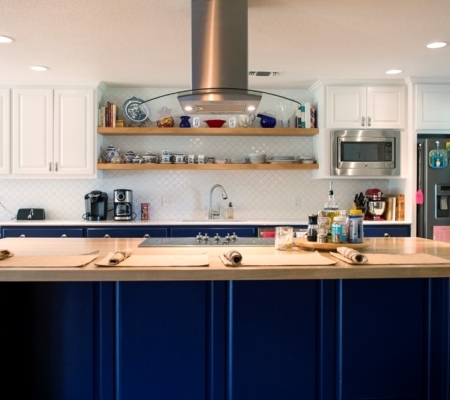 Even a few small kitchen renovation projects can transform an older kitchen into a more enjoyable and functional space for you and your family. You will be pleasantly surprised how a few small changes to your existing kitchen can have huge impact! Transforming your current kitchen into your dream kitchen is what Lonestar Home Solutions does best. Your new kitchen will improve your quality of life and make your home more enjoyable. Not only that, but a professional kitchen remodeling job can make a positive impact on the resale value of your home, too. 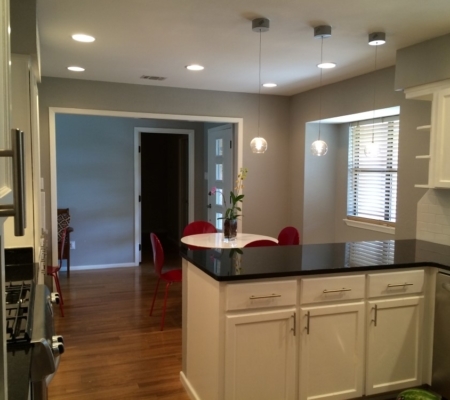 We understand you’ve got many contractors to choose from in Seguin, Texas to complete your Kitchen Remodeling project. We just want you to know that when you choose Lonestar Home Solutions to complete your home remodeling project, you’re not just getting a contractor. 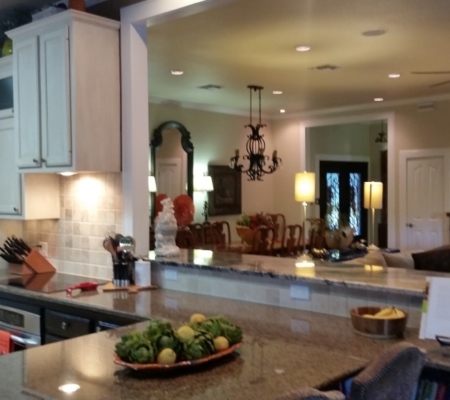 You’re taking on a valued partner with years of experience making Central Texas homes more enjoyable, more suitable places to live for families just like yours.